This weekend with a lot of help from people we were able to get in most of the “infrastructure” needs for this winter’s trail use. 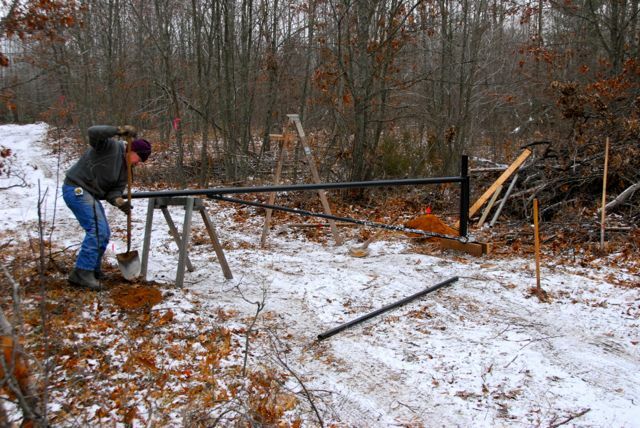 Below is Bob our master gate builder installing one of his creations. He built and donated three of these 12′ metal gates for use by the parking lot. 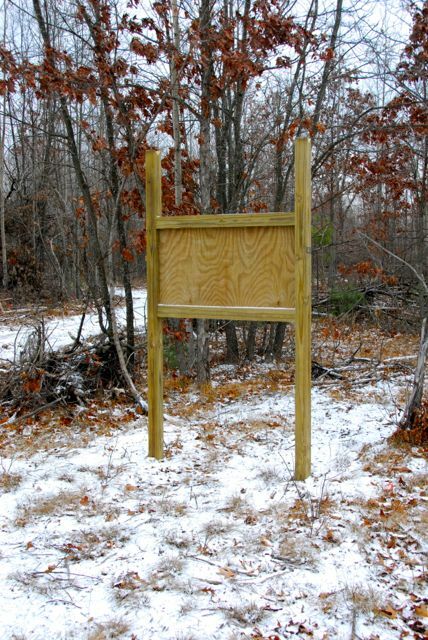 These will help us keep vehicles off of the ski trails this winter. Next up is the trail head map/info kiosk. While not 100% completed (we still need to put a roof on and attach a “window” on the front to enclose the posting area) we got it in the ground. A big thanks goes out to Clete for making this! We then headed out and installed the intersection signposts. If people had been sondering why in the heck we were collecting old skis, this is the reason. 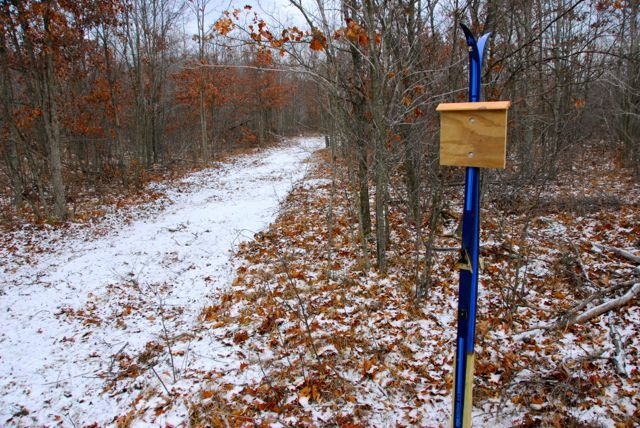 In order to add a bit of color, style and save a little money we used old skis for our trail intersection signposts. So far feedback has been very positive. 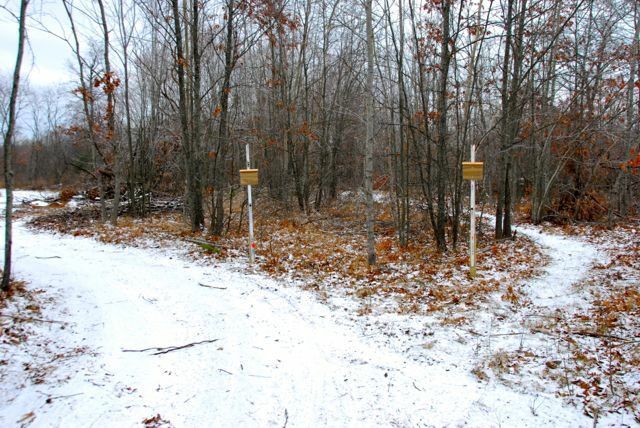 The top is a close-up of the intersection sign at the west loop and the bottom picture is of the intersection for the ski trails and snowshoe trail. 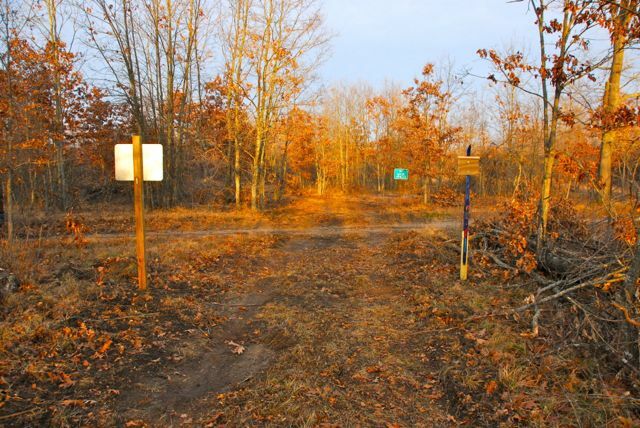 Lastly, because the ski trail crosses 9 Mile Bridge Rd (a snowmobile trail) we installed big reflective “No Motor Vehicle” signs at the two intersections where we cross 9 Mile. 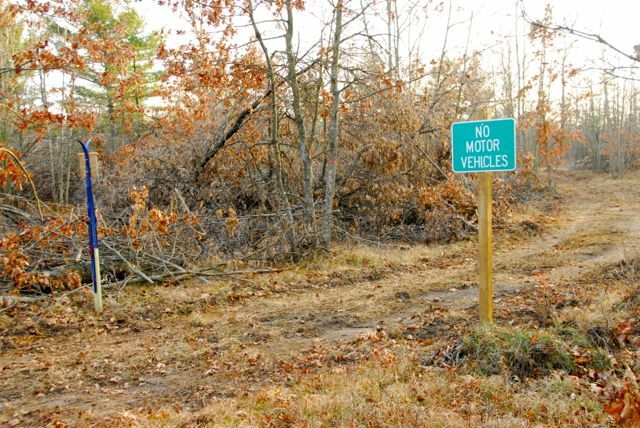 In addition to the No Motor Vehicle signs, we are going to post non-reflective no snowmobile and no ATV signs (red circle with line and symbol of snowmobile/ATV) at the intersection to hopefully make it VERY clear. A huge thank you goes out to all of the individuals that have donated time, materials, expertise and energy to this project. We couldn’t have done it with out you!!! A big thank you also goes out to Onekama Building Supply for the building materials for the signs and trailhead kiosk. This ipad version is killer. If mickey had one, he would love this version too.